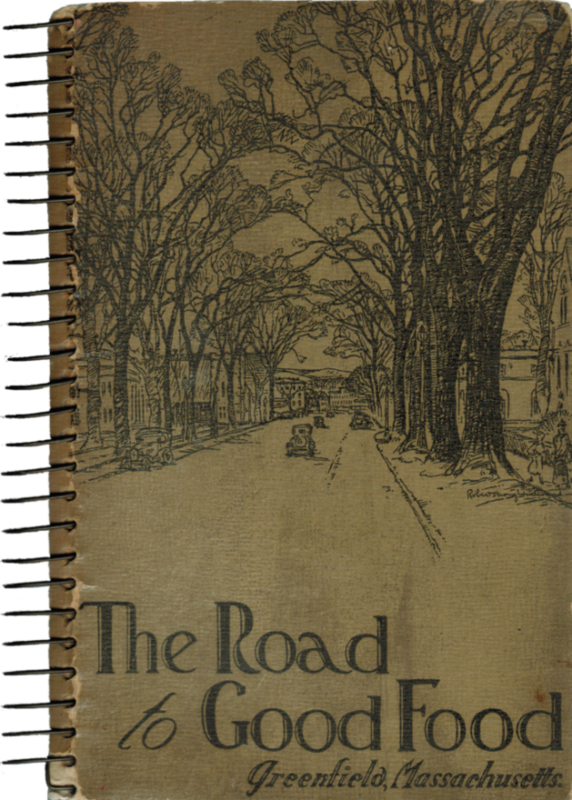 RSW- Artwork page, "The Road to Good Food"
Cook Book Cover Published in 1935. 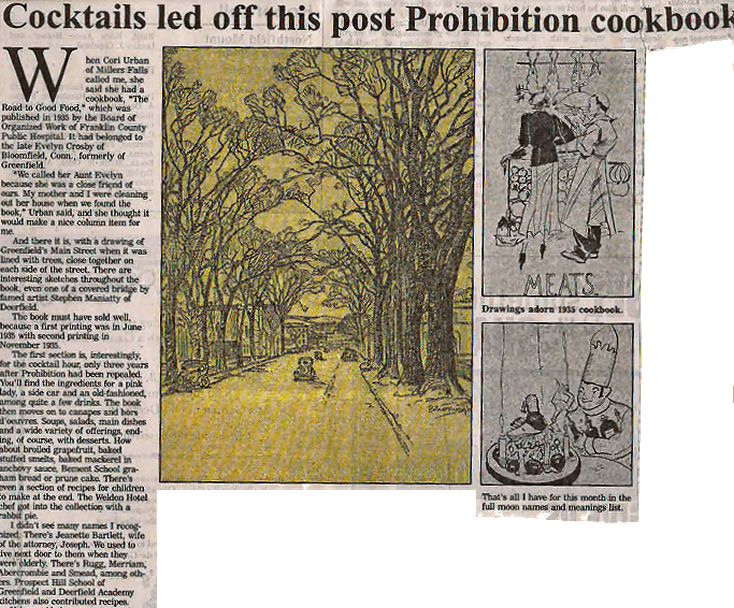 Read the Scrapbook story for more about Dorothy Tufts. 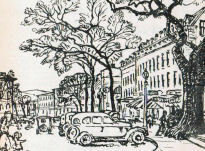 See also illustrations by Dorothy for the cookbook, "Road to Good Food." 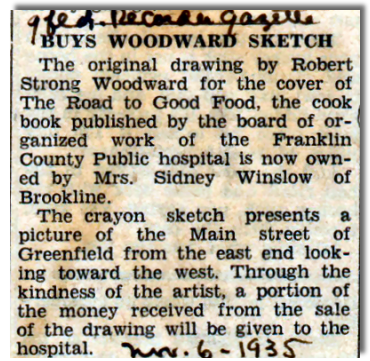 In 1935 this cookbook was published for the benefit of the Franklin County Public Hospital. 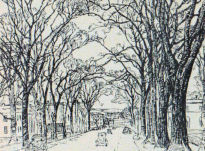 This cover drawing by RSW is of Main Street in Greenfield, Mass. For more on artist Dorothy Tufts, a contributor to this book, and her friendship with RSW, please read our Scrapbook story. 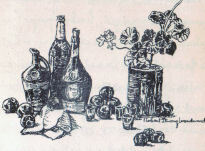 See also, Dorthy Tufts illustrations for the cookbook by Clicking Here. Below: there are three sketches related to the cookbook. Click on the image or the title to view a larger version of each sketch.